"Branch out to us and give your trees the chop"
"Hi" from the best tree surgeon Sale Cheshire has to offer. 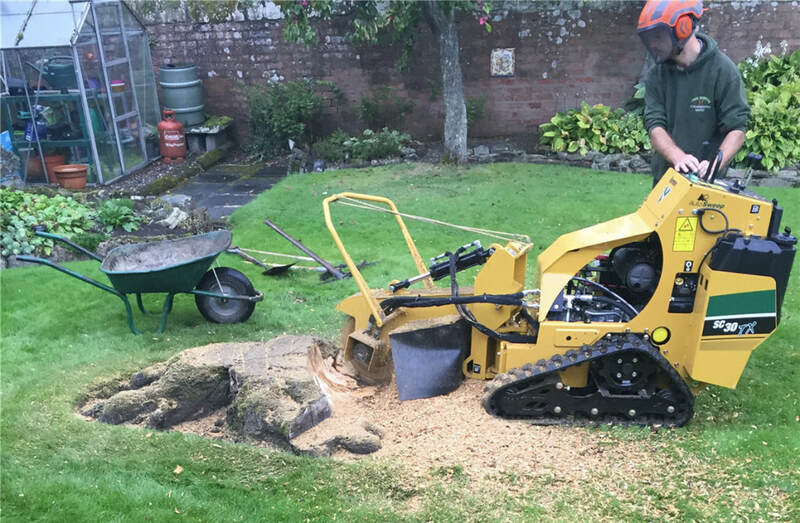 Whether you require tree removals, pruning, firewood, stump removals - or any other tree-related assistance - we provide a one-stop shop for all of your tree surgery needs. 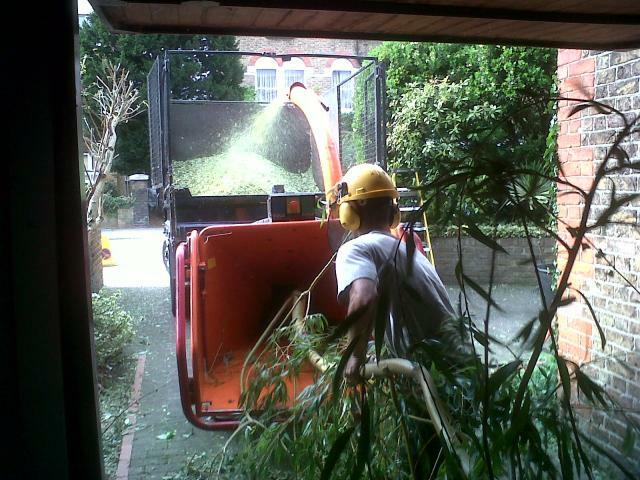 Contact us now for the most dedicated and professional tree surgeons this side of town has seen. Call us on 0161 410 0384 or 07866 857354, or fill in and submit the free instant quote form on this page and you will get to speak to a local tree surgeon to discuss your requirements. 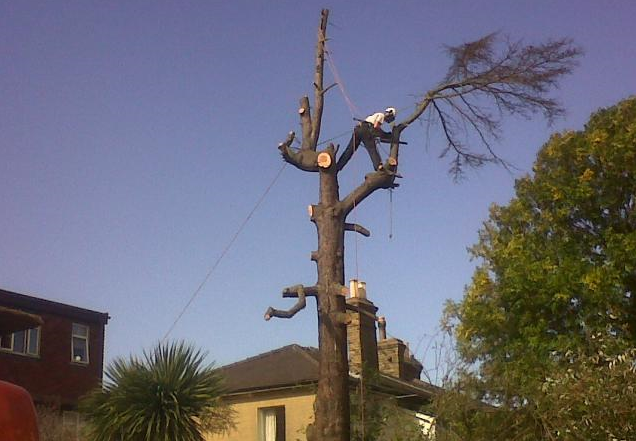 Literally, the sky's the limit on the type of work you require us to carry out for you, no job is too small and no job is too big(or high, for that matter - us tree surgeons have never had the best sense of humours). 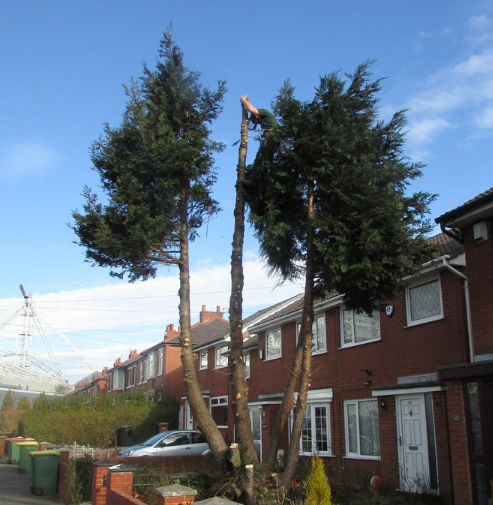 Providing the best tree removal Sale and Manchester has to offer, our Sale Tree Surgeons have numerous years experience of safely and efficiently removing all types of small, medium and large trees. If there is a tree falling and nobody is around, does it still make a sound? 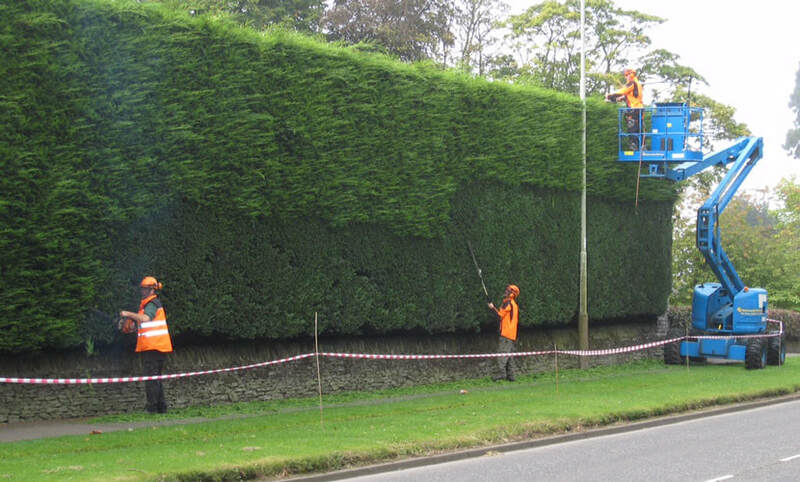 As well as the felling - or cutting - of your trees, we also like to put a smile on our clients' faces. On a serious note, we carry out all of our work professionally. Want a new tree or an army of new trees? This comes in two forms, restocking or new planting. If the land has recently been harvested, we will be restocking. If there haven't been any trees in the location before, you guessed it...we will carry out a new planting. Either way, the end result will result in smiles all around once the baby seeds turn into full-grown adults. Ideal for trees that are in a small area of space, dead or just potentially dangerous. They are perhaps of a medium to large size and this is a much more methodical approach to "taking a tree down" where the felling of it isn't necessarily the best option. The removal of smaller or tertiary branches, which allows more light to pass through the tree and reduces wind resistance and overall weight. Us tree surgeons think of everything. A shorter tree and/or perhaps the spreading of the crown will reduce the effects of shading and light loss, can reduce the stress on branches and the entire tree, and even just make the tree more suited to its natural environment. 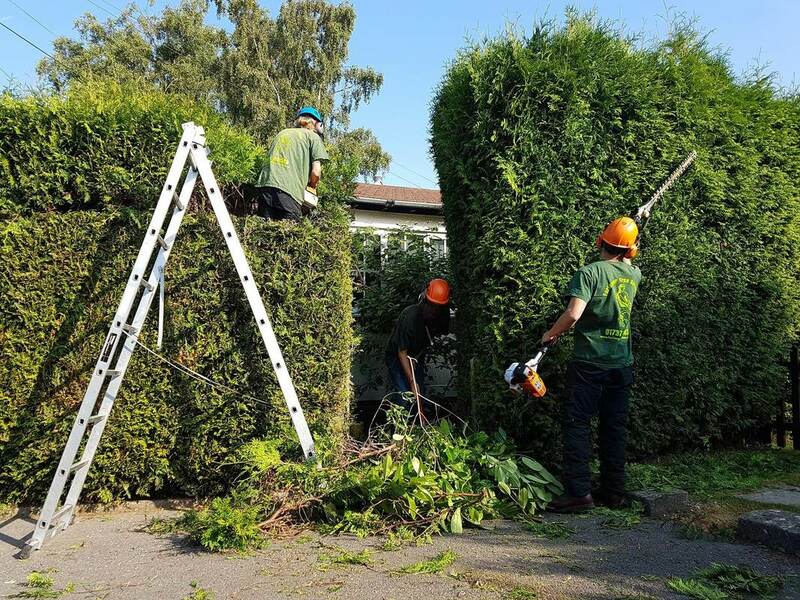 As we mentioned previously, these are some of the services we provide for your tree surgery requirements and in our experience, the most popular services for many of our clients. However, if something that you require our help and assistance with isn't listed, please don't hesitate in contacting us. 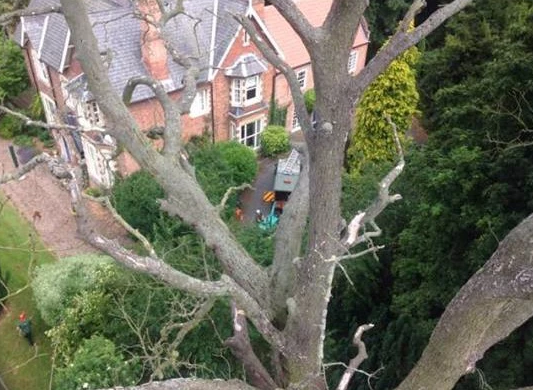 We like to think of ourselves as the Batman of the tree surgeon world, however, the only crimes we are guilty of solving are crimes against trees(don't worry, we won't give up the day jobs just yet, but that is mainly due to us enjoying our work and being able to serve the good people of Sale and our neighbours). Whichever service it is that you require, please either click here to call us now or fill in the form on this page for a free instant quote. 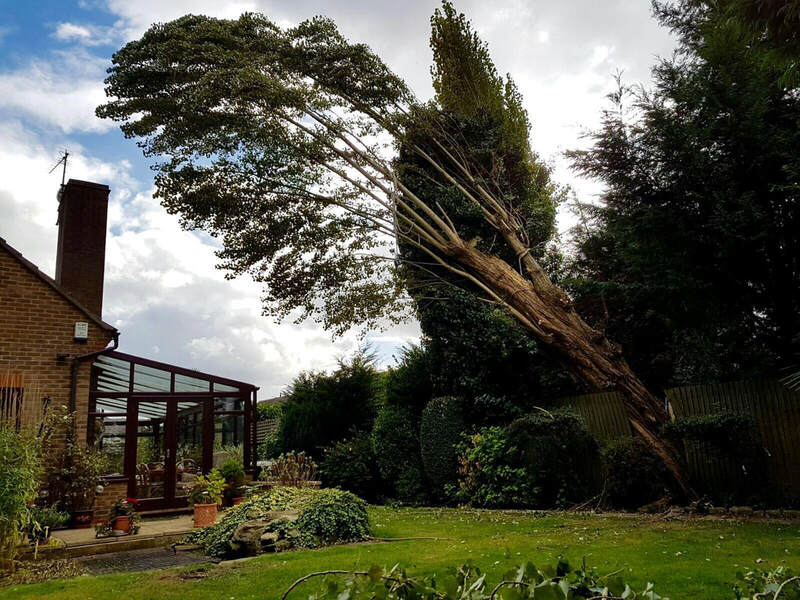 To give you the best price for the tree surgery involved, we ideally would like to visit the property where the work will be carried out first of all. This will allow us to determine what type of equipment is required, the timescale in completing the job and accurately quoting you for us carrying out the work for you. Please either click here to call us now or fill in the form on this page for a free instant quote. 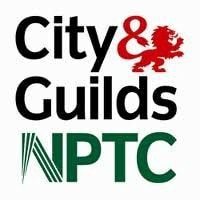 To be the best local tree surgeon in Sale Cheshire, Manchester and Trafford area, we look after clients in Brooklands, Ashton-Upon-Mersey, Carrington, Northern Moor, Northenden, Baguley, Newall Green, Benchill, Sharston, Civic, Moss Nook, Timperley, Stretford etc. Further afield, we serve Altrincham, Urmston, Stockport, Chorlton and everywhere in between. If our vehicle can take us to the destination you require us to be at(clue - it can), we can guarantee the most professional tree surgeon in Sale will be just a call away, so please call us or fill in the form on this page for a free instant quote. We have completed work for plenty of varied domestic and commercial clients, ranging from your traditional homeowner and tenant properties, through to schools, office management companies, local council and authorities(IE. parks), plus many more. 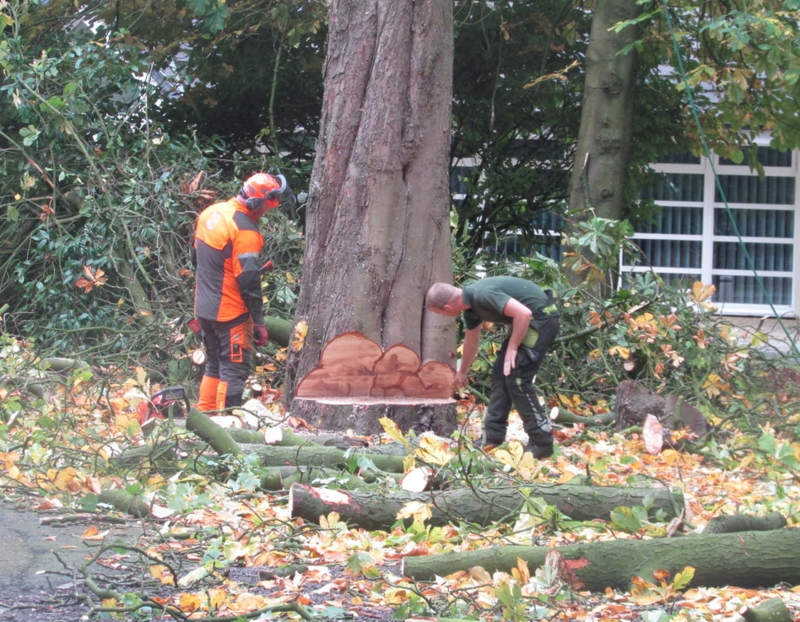 Whoever we are carrying out the work for, you can bet your bottom dollar that you will receive the most professional tree surgeon Sale Cheshire and Manchester has to offer. Do us tree surgeons still have your attention? 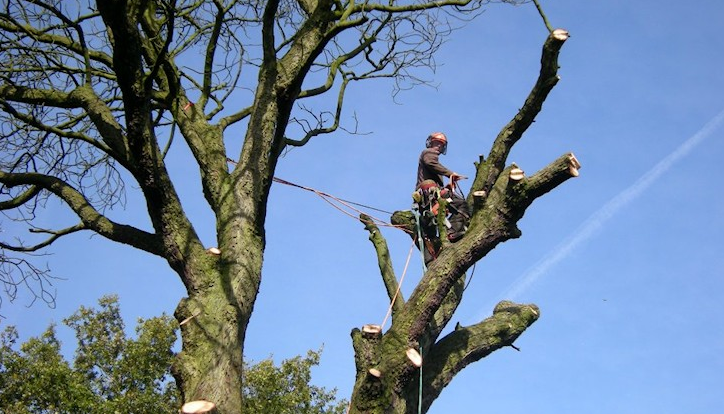 If you are looking for experience, professionalism, fair pricing and a smile thrown in for free as part of the service, get in touch with the overall best tree surgeon Sale Cheshire and Manchester has to offer. Yeah, Alder Tree Surgeon(or Alderwood Tree Care) are around with the others we mention above, but you are still reading this so we hope by now we have your attention and if you are ready to get in touch now to see us put our money where our mouths are, please either click here to call us now​ or fill in the form on this page for a free instant quote. "Branch out to us and give your trees the chop".